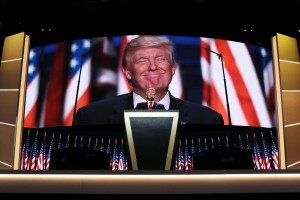 Check out this article from the Intercept titled “Donald Trump’s Convention Speech Rings Terrifying Historical Alarm Bells.” The author notes the alarming theme of his speech, which is that everyone should be very afraid and that only he can make you safe. It’s a great trick that works quite often, used by religious zealots, cult leaders, and famous tyrants throughout history. PLEASE DON’T FALL FOR THAT GARBAGE! Sadly the Democrats chose a corporate sellout so the alternative to Trump is poor. Leaves us with a a lesser of two evils situation again. Unless you want to vote for the Green candidate Jill Stein, who is a courageous leader. I’m not a big fan of voting for 3rd party candidates in Presidential elections, there is a difference between Trump and Clinton, and no matter how much I don’t want to vote for Clinton, and how depressing it is to say this, she will be better than Trump.